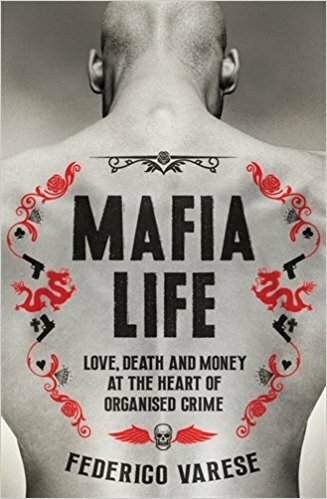 In Mafia Life: Love, Death and Money at the Heart of Organised Crime, Federico Varese journeys into the everyday lives of members of different mafia groups across the globe, from the Sicilian Cosa Nostra to the Japanese Yakuza. Drawing on wiretaps, reportage, historical analysis, legal evidence and biography, this book offers readers the opportunity to go beyond the fabricated images of the Mafia usually offered to the public, writes Baris Cayli. Mafia Life: Love, Death and Money at the Heart of Organised Crime. Federico Varese. Profile Books. 2017. In Mafia Life: Love, Death and Money at the Heart of Organised Crime, Federico Varese offers the reader a journey into the human dimensions of mafia members. Through unfolding stories from the Japanese Yakuza, the Chinese Triads, the Sicilian Cosa Nostra, the Calabrian N’Drangheta, the New York Mafia and the Russian Vory-v-Vakone, we obtain new ways of thinking about the existential identity and fragility of different mafia groups across the world. Varese responds to some fundamental issues and questions: what are the codes when a person is associated with the Mafia; how do mafia groups recruit their members; what happens to loved ones when a mafioso breaks the rules; and how do you rise to become the epitome of power within the Mafia? Drawing on wiretaps, reportages, historical analysis, judicial evidence and biographical studies of prominent criminal figures, renowned criminologist Federico Varese delves into the everyday life of the world’s most secretive societies. Across nine chapters, readers find themselves watching the recruitment ceremonies of the Mafia, paying visits to gambling clubs in Macau and spending time in luxury hotels in Dubai. Themes such as death, romance, fear, faith, choice and drama are the fulcrum of this book through which we contextualise different mafia groups within a realist frame of an opportunist and cruel world rather than through romanticised visions narrated in cheap fiction and plays. The political-criminal nexus is the network through which the Mafia emerges sometimes as a substitute for the state and at other times as a collaborator with state actors on the basis of mutual benefits. In the ‘Politics’ chapter, the reader takes a closer look at the relationship between a formidable organised crime group, the Hong Kong Triads, and a powerful state, China, to uncover why and how student protests were suppressed in 2014 in Hong Kong. We learn from Varese’s interview with two local members of the Triads that they were used to disrupt the protests; after short interrogations, they were released by the police, who were already aware of their interventions. These intersections between the Mafia and the state sometimes become blurry and it is hard to distinguish who is the de-facto ruler in territories of injustice. Relationships between mafia members are also critical. However, the knots in these relations render mafia studies both a challenging and intriguing field. Varese resolves some of these thanks to his meticulous analysis. For example, we learn from the case of Nikolai Zykov (Yakutionok), a Russian Mafia boss, that association with a criminal group is almost a case of insurrection: a process of existential struggle in which symbols and tattoos function as a glue between the individual and the fraternity organisation. The birth of the Mafia lies in the transformation or constitution of a new identity, which not only makes the member part of a family, but also assigns new roles and responsibilities according to rank and personal merits. The messages conveyed through symbols and rituals transcend time and space. Mafia members brand themselves and are unified under the same umbrella of values, whether in a rural town in Russia or in a luxurious location in a Chinese or European city. These symbols and rituals increase the effectiveness of mafia groups. The Mafia operates like a buffalo herd: they move together as a team, and when there is a lion attack, they need to respond to it with the force of collective dedication. Here, Varese informs us that the traditional importance of maintaining the organisation’s best interests above all else is the key dimension across mafia groups, as we learn from examples relating to the Russian Mafia, the Cosa Nostra, the Yakuza and the Triads. Chapters Two (on ‘Work’) and Three (on ‘Management’) delineate how divisions of labour and the search for new markets contain both opportunities and risks. The written and unwritten rules of the organisation, its commissions and hierarchical structures all aim for different mafia groups to remain stable, sustainable and effective. Decisions are taken swiftly: the bureaucracy of the mafia sometimes works more effectively than a well-designed state organisation. Reaching into these networks of power involves a sophisticated understanding of social systems and their flaws, in which many mafia groups have a prodigious capability. As Varese also shows in these two chapters, mafia members nonetheless make fatal mistakes easily. Perhaps this is another reason that the expected destiny of many mafia members lies between a life on the run and a struggle to survive. In the following ‘Money’ chapter, the reader rationalises the tough life of mafiosi as they strive to make the right investments, get an advantage from the global movement of financial assets and establish social networks with bankers, who even defy the Mafia by prioritising their own interests. Pragmatism makes the rules both strict and changeable in the life of a mafioso. This contradiction is more comprehensible at the organisational level. Yet, when it comes to individual cases, pragmatism may not always reign. In fact, mafiosi are human beings who are often ruled by their emotions as much as by their aspirations regarding the future of the business and the family. Experience and pragmatism are therefore the two engines of sustainability when the Mafia decide on the next pathway for their plans. But what happens when a love relationship threatens the sustainability of the organisation? Varese takes us to Palermo and narrates how the relationship between Niko and his lover Amali posed serious risks to the Cosa Nostra. Based on previous experiences, women and emotional relationships are mostly portrayed by the mafiosi as perilous and untrustworthy, whether in the Cosa Nostra, the Vory-v-Vakone or the Yakuza. Nevertheless, it is not always easy, even for a mafioso, to resist the power of affection and love. On the other hand, the danger of love should not be reduced to that between romantic partners. The strong emotional connection between a mother and her son poses a vital risk to the mafia as it unrecognises omertà – the code of silence. The ‘Love’ chapter also shows how rebel women, who suffer from the loss of their beloved ones, might become fearless, and the consequences of this makes the Mafia’s blood run cold. Even though mafia women are not the main subjects of this book, their potential rise to the top of the Mafia is nonetheless noted when male mafia members are not able to control the organisation due to physical limitations, such as imprisonment or when hiding out in another country fearing the revenge of rivals. For example, the 81-year-old grandmother Calogera Pia Messina, also called Zi Calina (Auntie Calina), is a well-known example of a ‘Godmother’ figure from Sicily. The self-image of the Mafia is, perhaps, one of the prominent elements that they cannot control. In the ‘Self-image’ chapter, the movie produced by ‘Broken Tooth’ Wan, who is Macau’s boss of gambling, is compared with The Godfather (1972). Yet, the movies produced by the Yakuza were not appreciated by the public, and the reverse is true as well. In the comparison of movies in which the mafia groups are portrayed, Varese confirms that the mafioso takes these movies seriously. Mafia movies are the cultural arenas in which the ego of the Mafia emerges and through which the mafioso self-defines himself, either by registering his displeasure or establishing an emotional connection with the movie. For example, The Godfather influenced and affected Louie Millito, a member of the Gambino family, so much so that his wife claimed that he ‘watched the movie six thousand times’ (147). Mafia Life approaches the mafioso first and foremost as a human being, and then unveils the bewildering social and cultural panorama in which the Mafia flourishes around the world. In the book, the mafioso appears as the reflection of his destiny: an ordinary person who is striving to find his own way of life. Emotions, rationale, strength and weakness together paint the landscape of the existential identity of a mafia member in Mafia Life. In this beautifully penned book, the reader has the opportunity to go beyond the fabricated mafia image usually offered to the public. Mafia Life is a landmark text exploring realms of power and looking at these contested men of our time from an anthropological point of view. Dr Baris Cayli is a Senior Research Fellow in Criminology at the University of Derby. He is Research Associate at the Scottish Centre for Crime and Justice Research and Fellow of the Royal Society of Arts. He has served as a Visiting Academic at the Department of Sociology, University of Oxford, and the School of Criminal Justice, Rutgers, the State University of New Jersey. His publications explore power dynamics, violence, political ideologies, historical sociology and social and cultural transformation.